Pre-season will begin on Thursday with uncertainty hanging over much of the Sunderland squad. For many, returning to Wearside will likely be a short lived affair with moves elsewhere in the offing. Jeremain Lens, Wahbi Khazri and Fabio Borini among others are expected to leave the club this summer, with Jordan Pickford having already left and Jermain Defoe soon to follow. With uncertainty still hanging in the air over the managerial and ownership situation, however, some will stay on to try and provide an element of continuity to a threadbare squad. After a tough season in the Premier League, some may also find it difficult to land a move back to the top tier. 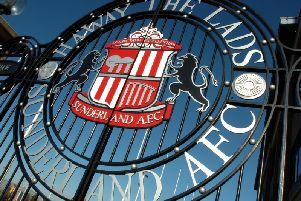 Whether Sunderland can get them performing could be crucial to their Championship success, the brutal 46 game campaign demanding strength in depth. It is a conundrum highlighted by former Norwich City boss Alex Neil, who described one of his biggest challenges last season as motivating players coming to terms with dropping into the second division. So who could stay on and where could they fit in? The Italian keeper has been a fine servant for Sunderland but was left disappointed as he fell behind Jordan Pickford in the pecking order last season. Sides in Serie A will be circling, with hometown side Atalanta a possible destination, but having signed a new deal last summer, his wages and the club’s asking price may yet be prohibitive in the less wealthy Italian league. If he could be convinced to stay he would automatically become one of the second tier’s most experienced and capable stoppers, allowing Sunderland to prioritise other areas of the pitch with what looks like being a limited budget. Likely to start the season as back-up to Billy Jones as right-back but the latter has had issues with injuries in the past and so Love will be expected to play a number of games. Has had an inconsistent start to his Sunderland career but his debut appearance against Manchester City showed potential. His ability to double-up as a holding midfielder could also be useful during particularly congested periods of fixtures. The Senegalese centre-half has hinted he would like to stay in the Premier League but he will surely only move if Sunderland are prepared to accept a substantial loss on the fee paid last summer. A move abroad could materialise with the defender still well thought of in Germany, but if not the Black Cats will have to try and make a success of his move with options light at centre-half. He struggled alongside John O’Shea last season but the pair could end up being vital if Sunderland are to bounce back. In a struggling side often camped deep in their own half, the passing range and long distance shooting for which Gibson is highly regarded never came to fruition. Looked off the pace at times but a full pre-season could help him get up to Championship speed. If he, Lee Cattermole and Paddy McNair can manage that, then the Black Cats will see central midfield as one area where they have a variety of options. On a lucrative deal Sunderland will be eager to get the best out of Rodwell this season. His best role is still unclear three years after signing. His best performance last year arguably came in the 2-2 draw with Liverpool, when he and Didier Ndong impressed in an energetic midfield pairing. Moyes showed a great amount of faith in the 26-year-old and the Black Cats will hope he can offer more control and a greater goal threat in the second tier.